Beautiful appearance, unique metal texture, unique design and style may satisfy your meets. Lightweight, recyclable material, durability and flexible structure and different colors attract you to choose it. 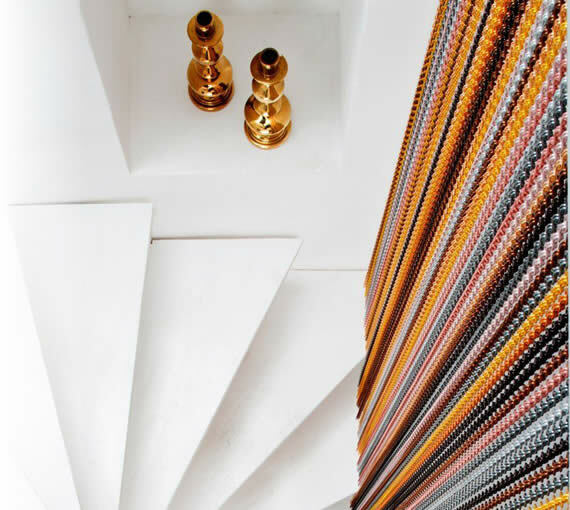 Various materials, colors and sizes metal coil curtain can meet different architecture styles. Metal curtains have been increasingly recognized and approved by more and more designers and property owners. 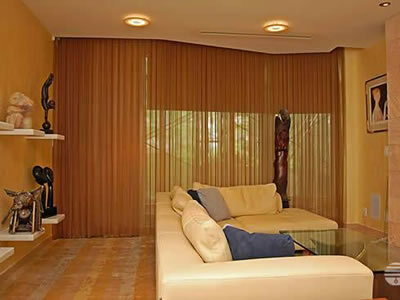 They are gradually replacing their counterparts - fabric curtains over a great number of applications. Metal curtains not only have similar features to the cloth curtain such as flexibility and block light, but also prevents combustion. Our company, Boegger Industrial Limited has been a pioneer and now a leader of manufacturing various types of metal curtains since 2000. Over the past 17 plus years, all our staffs have been developing new models to the markets to satisfy special requirements. At the same time, we have been expanding markets' requirements. 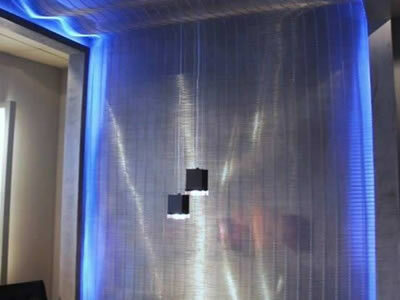 What are the materials of making metal curtains? 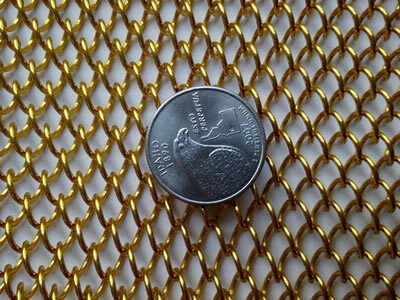 Stainless steel and aluminum are main materials of making curtains. 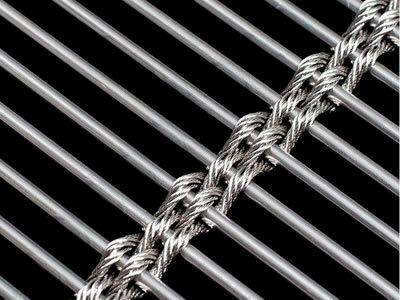 Stainless steel is an excellent metal to resist corrosion and rust. Aluminum, especially anodized aluminum, is also rust proof. By the way, anodized aluminum can be any color. What advantages of metal curtains? 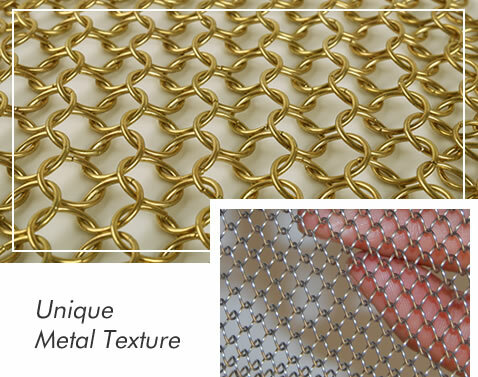 Metal curtains contain metal cloth, chainmail, chain link curtain and woven wire drapery. They are attached to tracks - curved or straight, to form different forms. Boegger Industrial Limited is and will be working hard to provide excellent pre-sale and after-sale services for any customer. If you have any order or question, just email us or call us directly. We have three methods about the installations of metal curtain, U track installation, H track installation and stainless steel curtain rod installation. 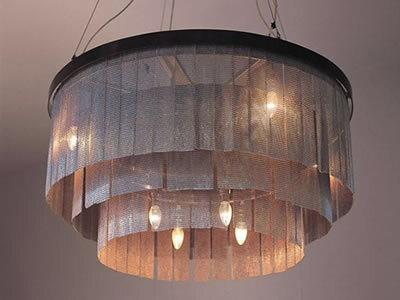 They all have strong steel support, free flowing gliders that can withstand all weights of metal curtains. 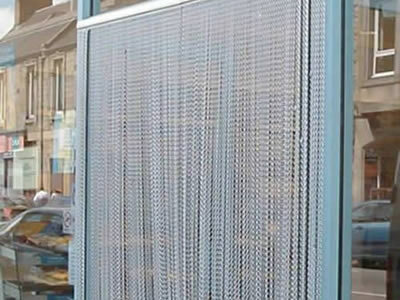 Chain link fly screen is easy to assemble in the summer and disassemble in the fall. 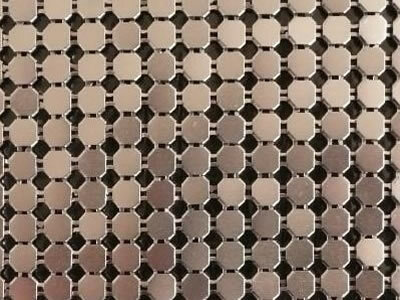 It is not only keeps the insects out but also adds a metal texture to the house. 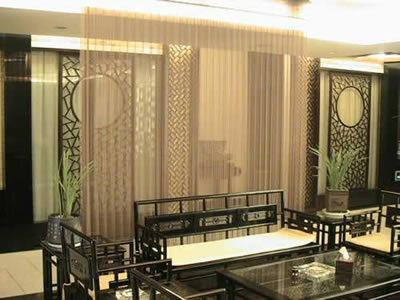 Room divider is frequently used in large area. 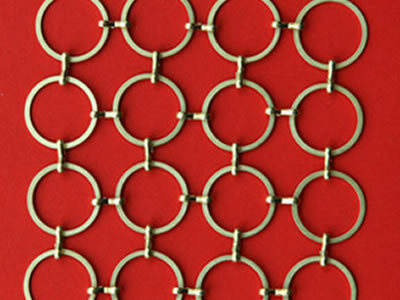 Metal curtains, such as chain link curtain, chainmail, woven drapery and beaded curtain, are available and affordable. I am looking for a way to cover my treadmill. I want it in my bedroom but I don't want to see it all the time. I need some kind of room divider that can hide the treadmill but move aside when I want to work out and see the TV. And the sales expert advised me the chainmail curtain with rings. It is exactly what I want! We are working on a fitness studio that will have one large room incorporating weight machines and yoga. We want to have a curtain that separates the yoga section from the rest of the space. I was looking at something translucent, but still give some privacy. 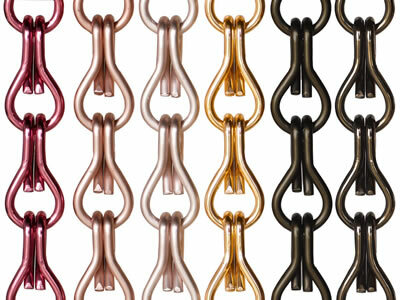 And the sales expert the anodized aluminum chain link curtain that features beautiful color and give some privacy. I would like some chain link curtains to go in-between basins as dividers in a hair salon. I would like the curtains can be fitted to the floor as well as the ceiling so that they would not move. 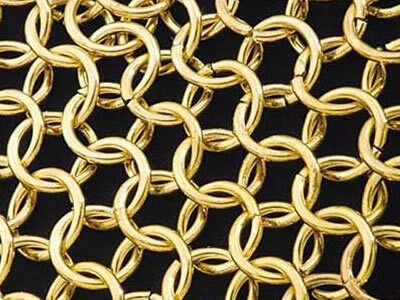 And the sales suggested the flat chainmail instead of chain link curtain which features non movable. We are renovating our retail store in Canada and require a curtain to separate our lab from the front retail. We want reasonable privacy between the rooms. 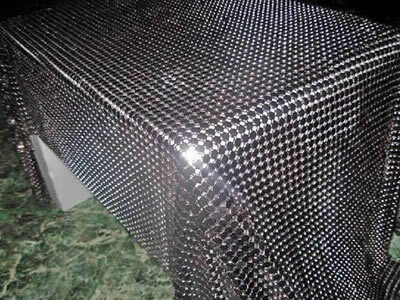 And the sales experts suggested the flat chain mail in Matt black. And we found it is especially suitable for store and give reasonable privacy. What a fantastic curtain!